I am frequently asked, usually on a weekly basis, by readers, friends, students, and colleagues about how I get my children to eat so healthy. I have written about this before in “Is Your Kid A Food Snob,” but the problem is so pervasive it is worth more of our attention as mothers and parents in general. The problem begins early, starting with pregnancy. It is well known, but really only in the scientific community, that what mom eats during pregnancy affects lifetime food choices of her children. As mothers, getting our kids to eat healthy starts with us. I know, more pressure on us as mothers, but it is also a powerful privilege to know we, as mothers, have so much influence in our power. I believe the first and most important step to getting your kids to eat healthy is to model good behavior. For my children, this means explaining to them why I don’t eat candy, junk food, or fast food. 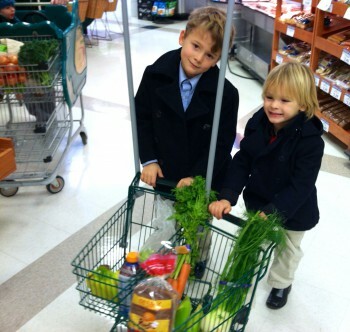 It means they see me enjoying shopping for, preparing, cooking, AND eating healthy whole foods. For example, I love brussel sprouts, artichokes, and spinach. 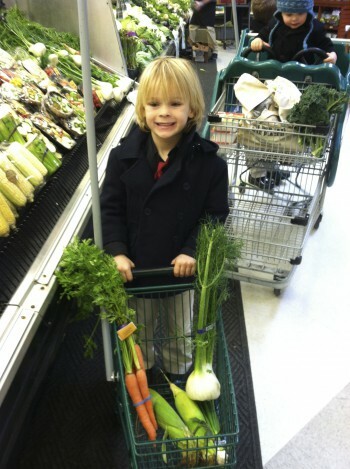 Green veggies are just the first stop in modeling good food behavior for my children. But don’t get me wrong. We do enjoy our sweets! But here is where the modeling continues – when I bake cookies with my children, we talk about why we use organic flour, why we buy high quality, fair-trade, organic chocolate, why we use far less sugar and substitute molasses, and why we use more olive oil. We mix and stir and taste test together, and then we enjoy them together. Cooking together is not a novel concept, but in America it is a lost value. Families don’t enjoy dinner as an “event.” Instead, many look at dinner as something to just “get through” or to “check the box.” They eat on the run, in their car, they pop processed, convenience food into the microwave, most of their food consists of opening cans, boxes, and packages; and they rarely cook a meal at home. In fact, I grew up much of the time with that modeling from my own parents. However, when I became a mother, I knew I was going to change that. Slow Food International is also trying to change that. When I returned from Italy in 1998, after a solo trip as a gift to myself after graduate school, I was changed. I got to experience the “event” of dinner every evening, of lingering over a good meal with good wine, of seeing fresh markets everywhere and families shopping for their dinner on a daily (not weekly) basis. This is the stuff of healthy living, I knew. So when I returned to the US, I was determined to drop the American version of healthy (which at that time meant “low-fat” and “chemically-supercharged”). That is when I learned that Slow Food Italia had a sister, Slow Food, USA. I encourage you to learn about Slow Food’s paradigm shift of ditching quick, convenience foods and instead, gathering around the chopping block every night with your family, and making dinner an event. “Kids have a right to good food, no matter where they live and how rich or how poor they are. They have a right.,” says a student of a stateside school involved in her school garden project. But the point of this post is to help moms immediately make a difference in how their children view food. Below are a few tips, including a few recipes and links I use for shopping. This is how I get my three boys, aged 7, 6, and 2, to love brussel sprouts, asparagus, broccoli, and a range of cultural foods my husband and I cook together with them. First Stop: Shop Clean. Shop Green. Shop Local. If you are in the Emerald Isle area where I live, email me to become a part of the local farm I order from on a monthly basis. Rainbow Meadow Farms delivers direct to my house, and anyone who orders splits the $10 delivery fee evenly amongst everyone. Supporting local business is important, and even more so when the farm treats their animals kindly, with respect, and without antibiotics and hormones that are harmful to humans. There is quite a bit of information out there supporting organic farming, and even Baby Center.com has gotten on board with recommending parents be more selective about their meat consumption. Joining a local coop can be another great way to support the growing trend of full circle return to organic farming. Read my recent post, Thinking Global, Acting Local. We don’t necessarily need to eat meat (we eat it once a week, or twice at most), but since so many Americans do, it is important we know how to do it to preserve our land for our children’s future, not just their health. Ditch the microwave. I have never owned a microwave, but when I married my husband I convinced him to get rid of his by getting him to agree to put it in our garage and see how little he used it over the next year. We did that, and he only used it twice, yes twice!, over the next 12 months. He then saw how easy it was to get rid of it. We have raised a family of five and have never once needed a microwave. It also helps not to have one because you will no longer be tempted to buy or eat those “quick, processed food” and “TV dinners” if it takes you 45 minutes to heat them up in the oven. Learn how to steam food. A good friend taught my husband and I how to steam the perfect rice about 4 or 5 years ago now, based on techniques the women in her family used to feed their very large extended family in India. We use it to reheat foods and is an easy and healthier substitute for the microwave. I was asked to share some recipes, and although I draw from many resources, here are a few to get you started. Foodily – If you want to follow me on Foodily, you get to have a peek behind the “curtain” and see what I actually cook for my family on a given night. Search Ginger Garner to find me. Note: I do make all recipes on Foodily organic, where it is necessary. So any recipe can be made non-GMO and organic, even though it doesn’t say so. http://www.nuts.com/ – They carry pretty much every staple you could possibly need for putting together superfood smoothies. http://www.vitacost.com – Healthy, organic staples are shipped for a $5 flat rate and free shipping over $49. I order everything from Tom’s toothpaste to essential oil soaps to chemical-free baby shampoos and conditioners and moisturizers. Making meals events by cooking with your children are a wonderful way to instill a range of values – of eating healthy, spending time together, appreciating where food comes from, and of nurturing our own bodies and doing our part to keep the planet healthy too. Thanks to my Facebook friends for encouraging me to write this post. Happy cooking everyone! The easiest way to contact me is via my website on the contact page. 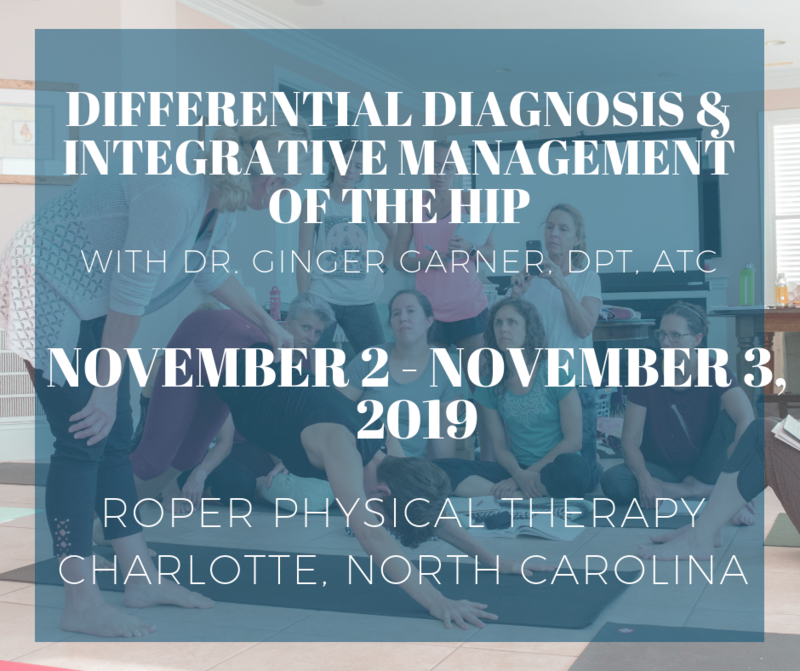 Alternately, you can find me on Twitter – ProYogaTherapy or Facebook – Ginger Garner, or LinkedIn – Ginger Garner.